Deep Creek Marina Echuca/Moama	Need Insurance? AU $825,000	Need Finance? Need Insurance? 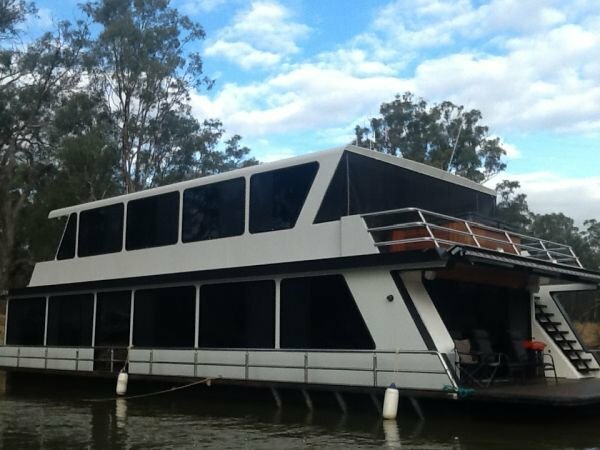 PERRICOOTA EXPLORER on the Murray River: Holiday Home on the Mighty Murray River @ Deep Creek Marina @ Echuca/Moama. 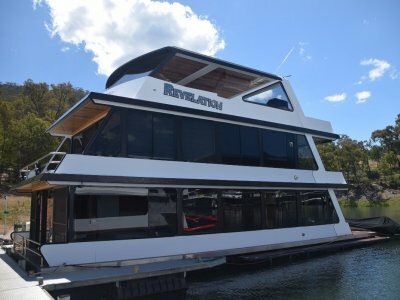 Today your family can explore the mighty Murray River and enjoy all these great benefits the Perricoota region has to offer on a luxury holiday houseboat on the water. Perricoota Explorer measures 20m x 8m with two fully enclosed levels that can be enjoyed all year round. This provides plenty of room for the whole family and their friends with 5 bedrooms, 2 bathrooms, a spa bath, entertainment & relaxation areas for all, plus a modern kitchen with quality appliances. 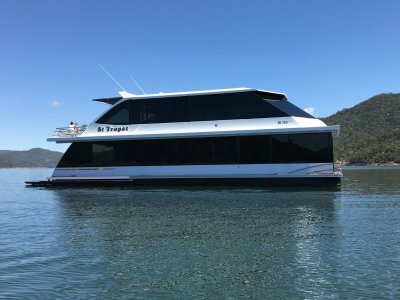 Perricoota Explorer has the latest in solar electric technology, plus a Bow Thruster which makes her easy to manoeuvre with the 4.3lt Mercruiser inboard motor. She has been extremely well maintained as you would expect with a holiday home of this quality. 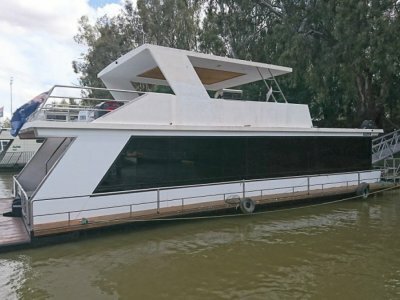 Perricoota Explorer can be sold without the Echuca/Moama Mooring Pen to be shifted to Lake Eildon if you already have a marina pen in the area. The price is Negociated with or without the marina pen. For more details please click on the attached flier. BR2: 2 single beds; Overhead cupboards. BR3: Queen sized walk around bed; Under bed storage; Overhead cupboards; Side drawers. Open Front Area / BR 4 & 5: 3 seater couch / sofa bed & concertina door/storage cupboard; overhead cupboards; 3 seater couch / sofa bed & concertina door/storage cupboard; overhead cupboards. Kitchen: LG electric fridge / freezer / ice maker; Emilia oven, grill, 5 burner cooktop gas with rangehood; Drinking water system; LG dishwasher; Whirlpool microwave oven; Servery x 3 stools. Kitchenette: Fisher & Paykel electric bar fridges x 2; Sink & drinking water tap; BBQ. 2 x Bathroom: Shower; toilet; vanity. Current asking Price DOES NOT INCLUDE the Ownership of the Mooring @ Deep Creek Marina Echuca/Moama. 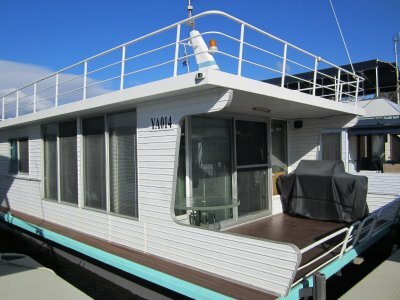 If you wish to have the Echucal Marina Pen then the price will be $925,000.